The work I have in the ‘Possible Impossibilities exhibition at The Bridewell : http://www.independentsbiennial.org/2013/05/19/possible-impossibilities-new-bridewell-drawing-show-now-open/ was a culmination of several past projects. I wanted to depict the Bridewell’s physical structure, while also adding an echo of its past use as Police cells. I thought of the words uttered when a person was arrested…. You have the Right to Remain Silent….. Do you understand….. ? and experimented with pulling images of the Bridewell through the words. It was a technique I’d used before in ‘Declaration’ and wanted to see if it would work for this piece. 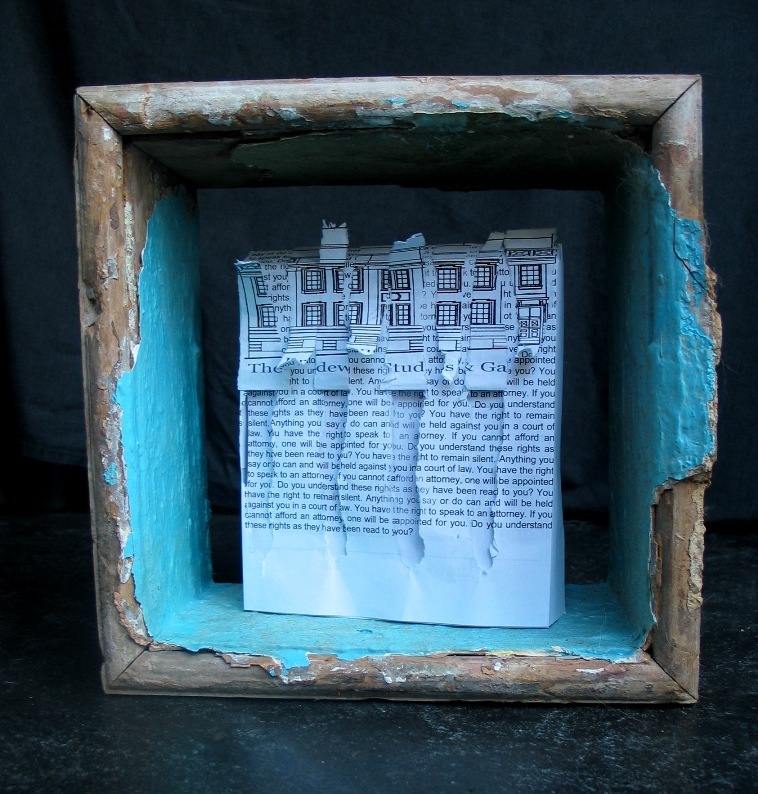 I formed the shape of the Bridewell building out of the script and housed it within a found wooden frame structure. 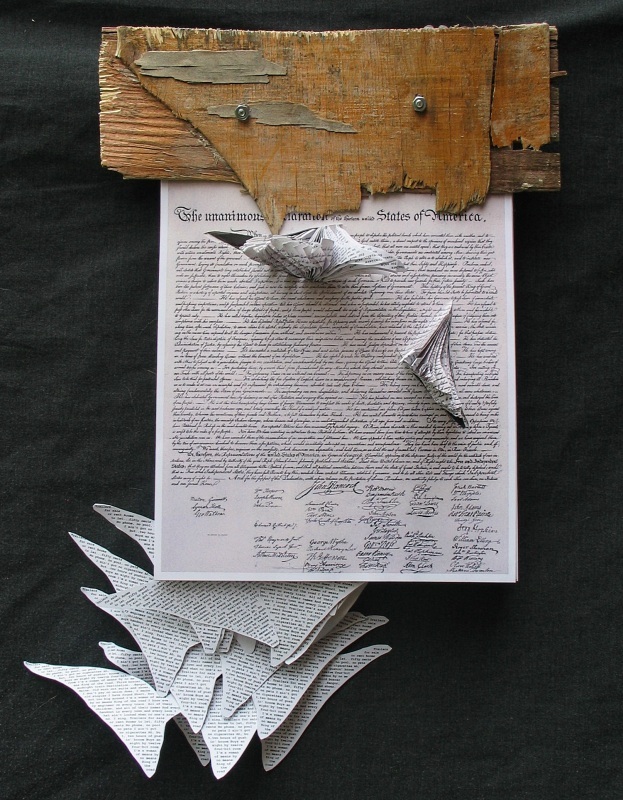 Declaration was exhibited in ‘Speakeasy’, Basement Arts Projects, Leeds. It is the American Declaration of Independence, printed on recycled paper. On the reverse of the paper is printed wings from my travel project, bearing the words of the song ‘King of the Road’. The wings are pulled through the Declaration as if humming a song and not really concentrating on the meaning of the words.